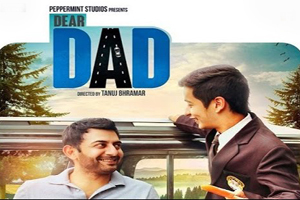 Dear Dad is a 2016 Hindi language family drama film directed by Tanuj Bhramar and produced by Ratnakar M, Shaan Vyas. The film stars Arvind Swamy, Ekavali Khanna, Himanshu Sharma, Bhavika, Aman Uppal, Indu Ramchandani, Ranjit Thakur, Sonika Chopra. The soundtrack of film is composed by Ujjwal Kashyap, Raghav Arjun and lyrics are penned by Deepak Ramola, Neeraj Rajawat. Here is the link of all the songs lyrics and videos of Dear Dad.